Need more business? Pat Iyer shares tips about passive and active ways to get business by relationship marketing. Are you curious about the role of social media in getting business? Are you allowing yourself to make excuses instead of asking for referrals? This Iyer’s Insights episode is all about relationship marketing. Get More Clients and Leave Your Competitors in the Dust – watch our free on demand webinar. Get the program at this link. Pat Iyer got involved in social media early on, claimed her name, and began posting and connecting. 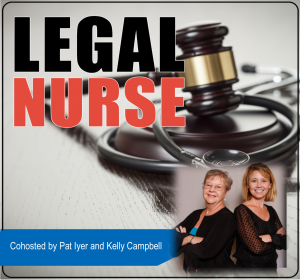 Connect with Pat in Linkedin and join her Legal Nurse Consulting Marketing group.